Gavin Crippin A Rebours Theatre Co.
Born in Manchester, John studied English literature and Drama & Theatre studies then went on to attend various acting classes throughout the North West of England. 2009 saw John make the transition from stage to screen when he featured in numerous short films including ‘The Hive’ and 'When the Dust Settles'​, both went on to win Shooting People's 'Film of the Month'​ after screenings at the London Short Film Festival with 'The Hive'​ also appearing at BAFTA and earning a nomination for a world Vimeo award in 2012. In 2011 John began TV work, filming for roles in Emmerdale, Waterloo Road and a sit com pilot which went on to win the Audience Vote Award at Cofilmic. 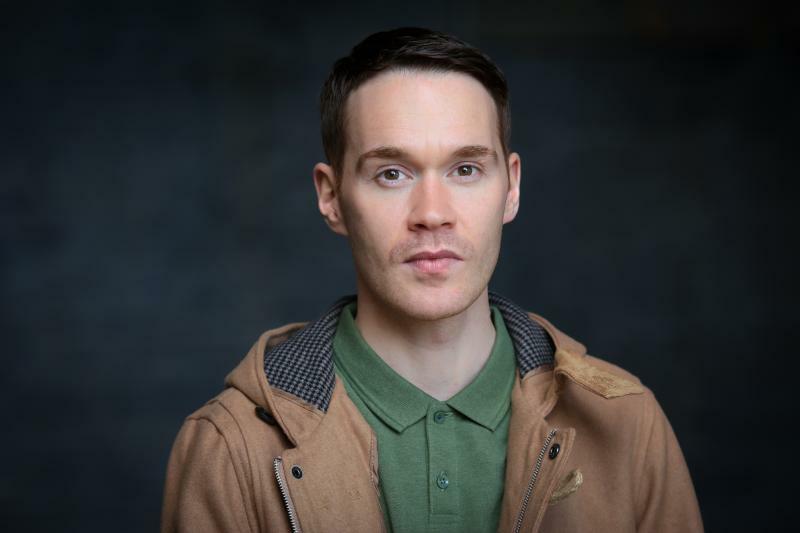 John went on to film the sit com pilot 'Scrims' and two episodes of Hollyoaks before appearing in the BBC's 'Turn Up The Talent'​ showcase and returning to Emmerdale as a recurring character. In 2014 John appeared in the feature film 'The Last Showing'​, worked with ITV as part of their trainee director scheme and filmed his third feature film role before completing a run of 'Afterglow'​, performed as part of the 24:7 Theatre Festival; the play received 4 and 5 star reviews and John picked up the Audience Award for Favourite Actor along with a nomination for Best Fringe Performance at the 2015 Manchester Theatre Awards. John has also appeared at Contact Theatre in 'Contact Compacts'​ and in recent advertising campaigns for Coors Light, 7up and Warburtons. In recent years he has appeared in Sky One's Mount Pleasant, as guest lead in BBC's Doctors, the feature film 'Lapse of Honour' and 'B!rth' at the Royal Exchange theatre. John can be seen in the feature film 'Freesia' in UK cinemas/VOD and Unilad viral sketches, he has recently been cast in Sky One's new series, Brassic, due for release in 2019. He has a passion for comedy-drama and loves getting the chance to devise and perform with like minded people.